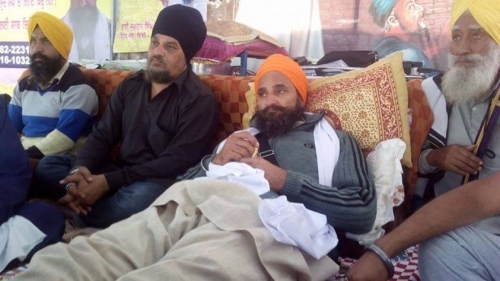 Why is SikhNet ignoring Gurbaksh Singh's hunger strike? Does SikhNet & the Yogi Bhajan cult have ties with the government in India which wants to eliminate Sikhs? After 30 years of silence the Sikh gentleman in the video was presented with the opportunity to relate a face to face meeting he had with Sant Jarnail Singh Bhindranwale Ji in 1984 just before operation Blue Star so that people may know the truth about Yogi Bhajan's lies and murderous plots. After meeting with this Sikh brother today and checking all his credentials, I found his testimony to be very credible. He knew all the people close to Sant Jarnail Singh Bhindranwale Ji and he produced specific information about details readily which all lead me to believe his story is with merit. This Sikh gentleman has a very reputable position and family and has nothing to gain by not telling the truth which gives me good reason to respect and honor what he says. February 1984 is when the Sikh gentleman in the video says he met with Sant Bhindranwale Ji at the Darbar Sahib.